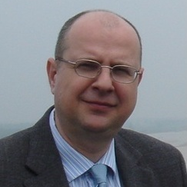 Dr. Alexandre Mansourov is Adjunct Professor at the School of Advanced International Studies at the Johns Hopkins University in Washington, D.C., Visiting Scholar at the U.S.-Korea institute at SAIS, and a founding member of National Committee on North Korea. He is an international relations specialist with broad expertise in military assessments, WMD proliferation, and national security research, leadership and political analysis, cross-national socio-economic trend analysis, research on religious and inter-faith issues, energy and human security in the Asia-Pacific region, Eurasia, Central Asia, Caucasus, and the Middle East. He is particularly interested in the Korean Peninsula and Northeast Asian affairs. Dr. Mansourov is an accomplished research executive with broad experience in defining, managing, and executing the corporate research agenda for academic, non-governmental, and corporate clients, as well as for military and other government agencies. He has significant experience in inter-agency coordination of post-conflict stabilization programs and humanitarian assistance and disaster relief issues in the Asia-Pacific region. Dr. Mansourov led the North Korea program at one of the USG think tanks from 2008 to 2012 and worked as Full Professor of Security Studies at the U.S. Department of Defense Asia-Pacific Center for Security Studies from 2001 to 2007. Dr. Mansourov did policy-related research at the Brookings Institution and Harvard University and taught at the Fletcher School of Law and Diplomacy at Tufts University in Massachusetts. He studied at Kim Il Sung University in Pyongyang, DPRK, graduated from the Moscow State University of International Relations in Russia, and received his Ph.D. in Political Science from Columbia University, New York. He edited three books, including A Turning Point: Democratic Consolidation in the ROK and Strategic Readjustment in the US-ROK Alliance, Bytes and Bullets: Information Technology Revolution and National Security on the Korean Peninsula, and The North Korean Nuclear Program: Security, Strategy, and New Perspectives from Russia, as well as published numerous book chapters and academic articles on Korean, Russian, Northeast and Central Asian affairs.